How can I change the date format in frontend from Nov. 23, 2018 to dd.mm.yy (23. 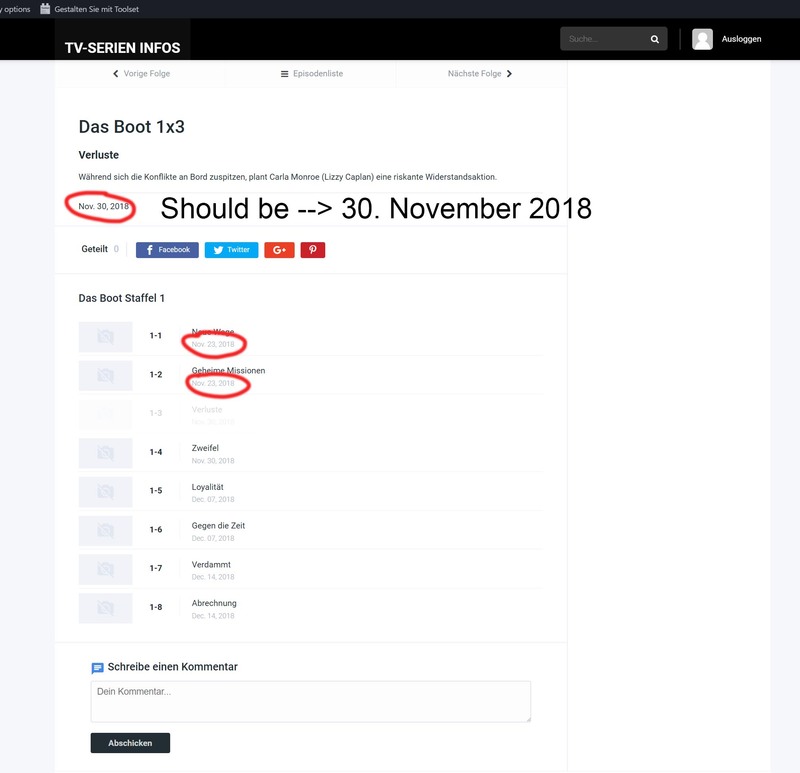 November 2018)? Thanks for the help and merry Christmas to all. Thanks for your help. I tried but nothing changes. Here is a screenshot to show what I mean.